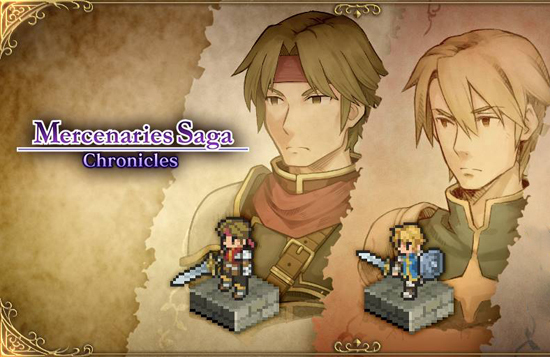 Tactical turn-based strategy RPG Mercenaries Saga Chronicles will see a boxed release for Nintendo Switch this summer! Initially released on Nintendo eShop in February of this year, Mercenaries Saga Chronicles is composed of the three entries in the Mercenaries Saga series, which originally released on mobile devices and Nintendo 3DS – now available in one convenient package! These three titles join together to offer a massive tactical turn based strategy RPG experience, either on the go or at home – perfect for any tactically minded Nintendo Switch fans out there! Your Fate in Your Hands! – A massive campaign featuring over chapters will keep you busy for hours! But play smart – your decisions will guide story routes and endings! Strength through Battle! – Success in battle allows you to upgrade your team and equipment. Master the battlefield to master the game! Mana Is the Key! – You’ll slowly accrue Mana throughout each battle, which will allow you to unleash devastating attacks! Get Your SRPG Fix! – 3 games in one package isn’t enough? Clear the game once to unlock more difficulty levels for limitless challenging gameplay!